Honda Activa has remained the undisputed king of the scooter segment in India for quite a while – and there are a few other scooters based on it, like the recently launched Honda Grazia. 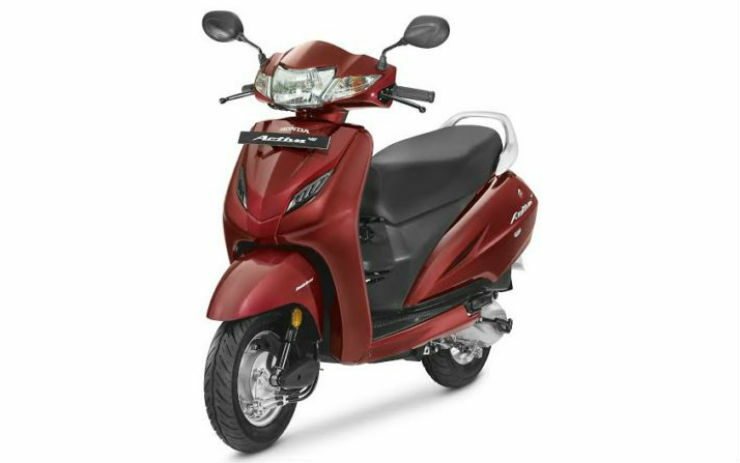 For those who are looking for safety in numbers, Activa is the first choice, followed by its twin Grazia and then India’s second largest selling scooter, the TVS Jupiter. If you’re out in the market and looking to buy something in this segment, we will help you to know which one is best for you. The Honda Activa has been around for a long time in the market now. The rugged tried and tested scooter is the first choice for many scooter buyers in India. The Activa is powered by a 109.2cc engine that generates a maximum power of 8 Bhp and 9 Nm of peak torque. The scooter also gets features like under seat mobile charging socket that attracts a lot of youngsters. The Activa also gets the Combi-Braking system that applies equal braking force to both the wheels even when the front brake is applied. As the name suggests that scooter is in its fourth generation now and has a lot of following behind it. Activa is for people who want a worry-free product that will work for a long time. The price starts at Rs. 48,530 and goes up to Rs. 61,869, ex-showroom, Delhi. The Grazia is based on the Honda Activa 125. The scooter has been designed to capture the young customers, especially the college-going crowd. The angled body design with the layered apron makes its front quite busy. Even the side panels of the Grazia are sharp and angular. The Grazia also gets an under seat charging point, which is appreciated by smartphone owners. The Grazia also gets huge headlamps on the apron and a dual tone colour scheme. 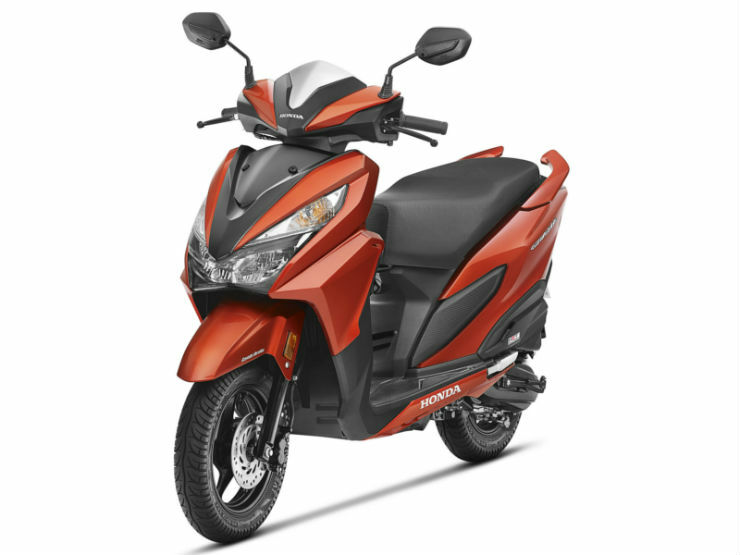 Honda also offers alloy wheels with front disc brake that adds a dash of style to the scooter. The front suspension is telescopic that offers a very smooth ride. The Grazia is powered by a 124.9cc engine that develops a maximum of 8.52 Bhp and 10.54 Nm. Interestingly, the scooter is lighter than the Activa and returns more fuel efficiency too. The Grazia is priced from Rs. 57,897 and goes up to Rs. 62,269, ex-showroom, Delhi. The Jupiter is the second largest selling scooter in India. Scooters became popular in the market primarily because of the space they offered. The Jupiter offers one of the biggest under seat space that can keep most full-face helmets. The Jupiter also offers 1,275mm of leg space, which is largest in the segment and can hold big things. There are other bits too, like external fuel cap that does not need the seat to be lifted while refuelling and a high-beam pass button, which is a rare feature on the scooters. The Jupiter also gets low fuel warning lamp but misses out on an under seat charging socket. 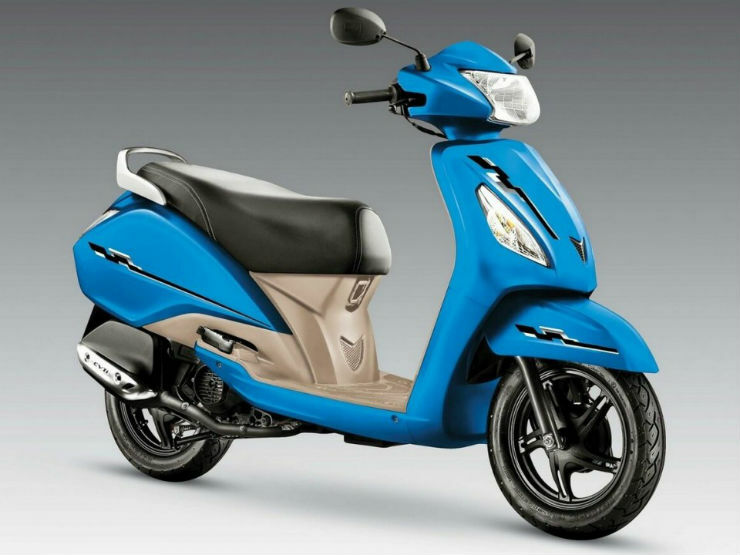 The scooter is powered by a 109.7cc single-cylinder engine that develops a maximum power of 7.88 Bhp and 8 Nm of peak torque. The price starts from Rs. 48,989 and goes up to Rs. 55,551.